Useful herbs include pellitory of the wall (Parietaria officinalis), couch grass (Agropyron repens), nettles (Urtica dioica), gravel root (Eupatorium purpureum), corn silk (Zea mays), golden rod (Solidago virgaurea) and stone root (Collinsonia canadensis). 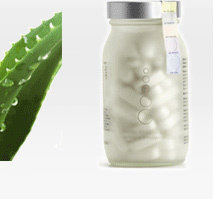 • The juice of the aloe vera plant is useful in preventing stone formation. It can also reduce the size of stones during an attack. Drink 1/2 cup of aloe juice 3 times daily. • Ginkgo and goldenseal are potent antioxidants that aid circulation to the kidneys and have anti-inflammatory properties. Use in extract form. • Mix 3 to 4 drops of lobelia tincture and 15 drops of wild yam tincture in a glass of warm water to relieve pain and hasten the passing of stones. Sip this mixture throughout the day. • Uva ursi relieves pain and bloating.